The NJYC is heading to Puerto Rico in March 2019 with Bailey Frumen for 5 days of inspiration, transformation, and YOGA! Here is a shot of Bailey, taken during our VibeWell Yoga Festival. She ROCKED the house and changed lives in just 1 hour. Imagine what could happen if you went away with this woman for a week?! Bridget will be teaching yoga once a day during the trip and she’ll be theming her classes to match the ultimate goal of this trip: learning to create the lifestyle you’ve always want – on YOUR terms. 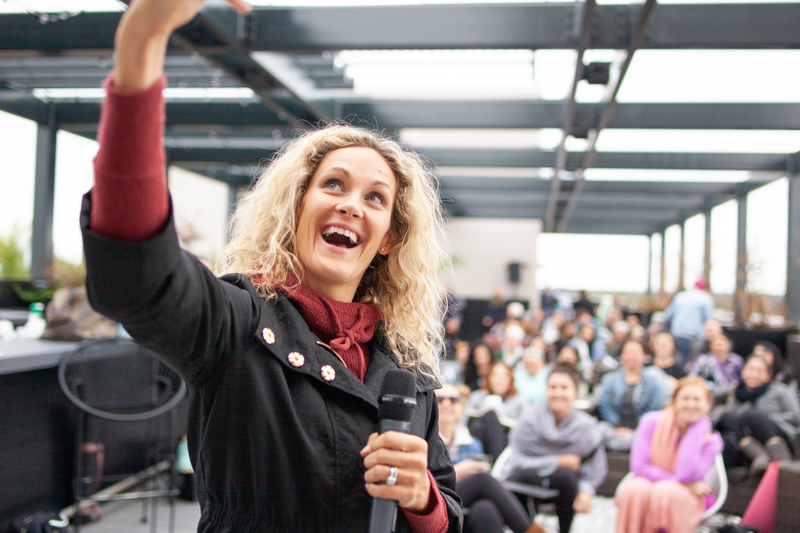 This retreat is specifically for powerhouse women who are primed and ready to jumpstart a journey towards fulfillment, creativity, and success. It’s about finding a community that has your back, and recognizing how important it is to have your OWN back too. Your Experience Also Includes Group Coaching Calls & a Facebook Community! 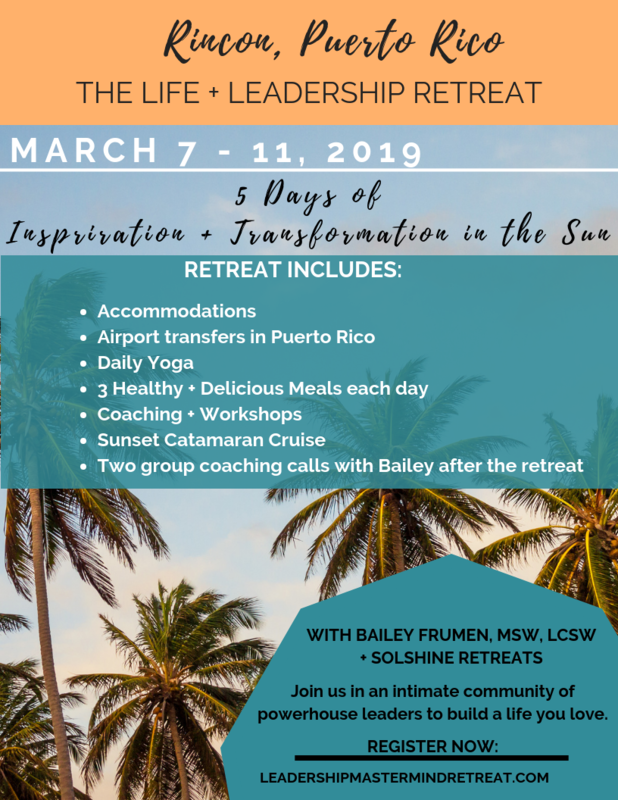 In the two months following the retreat, there will be a group coaching call led by Bailey, to support you in connecting and sharing your retreat reflections. This is a powerful opportunity to break through any blocks that may have come up as you integrate transformations and insights experienced in your retreat experience. Plus you’ll be invited into our online community to connect, share, support, and receive encouragement along your journey. That happens the moment you enroll! Ready to Travel With Us! ?